Start with privacy. 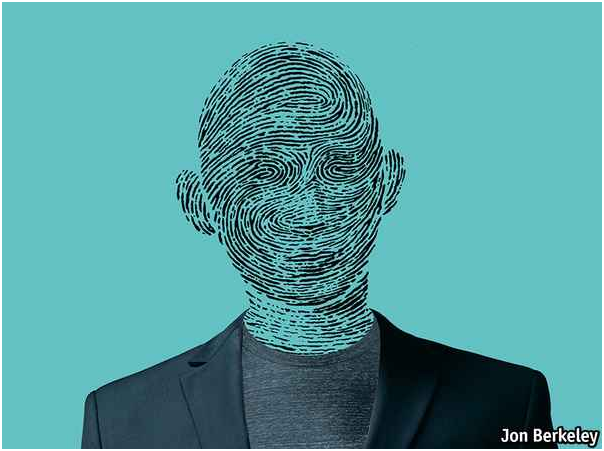 One big difference between faces and other biometric data, such as fingerprints, is that they work at a distance. Anyone with a phone can take a picture for facial-recognition programs to use. FindFace, an app in Russia, compares snaps of strangers with pictures on VKontakte, a social network, and can identify people with a 70% accuracy rate. Facebook’s bank of facial images cannot be scraped by others, but the Silicon Valley giant could obtain pictures of visitors to a car showroom, say, and later use facial recognition to serve them ads for cars. Even if private firms are unable to join the dots between images and identity, the state often can. China’s government keeps a record of its citizens’ faces; photographs of half of America’s adult population are stored in databases that can be used by the FBI. Law-enforcement agencies now have a powerful weapon in their ability to track criminals, but at enormous potential cost to citizens’ privacy. Less violent forms of discrimination could also become common. Employers can already act on their prejudices to deny people a job. But facial recognition could make such bias routine, enabling firms to filter all job applications for ethnicity and signs of intelligence and sexuality. Nightclubs and sports grounds may face pressure to protect people by scanning entrants’ faces for the threat of violence—even though, owing to the nature of machine-learning, all facial-recognition systems inevitably deal in probabilities. Moreover, such systems may be biased against those who do not have white skin, since algorithms trained on data sets of mostly white faces do not work well with different ethnicities. Such biases have cropped up in automated assessments used to inform courts’ decisions about bail and sentencing. In democracies, at least, legislation can help alter the balance of good and bad outcomes. European regulators have embedded a set of principles in forthcoming data-protection regulation, decreeing that biometric information, which would include “faceprints”, belongs to its owner and that its use requires consent—so that, in Europe, unlike America, Facebook could not just sell ads to those car-showroom visitors. Laws against discrimination can be applied to an employer screening candidates’ images. Suppliers of commercial face-recognition systems might submit to audits, to demonstrate that their systems are not propagating bias unintentionally. Firms that use such technologies should be held accountable. Such rules cannot alter the direction of travel, however. Cameras will only become more common with the spread of wearable devices. Efforts to bamboozle facial-recognition systems, from sunglasses to make-up, are already being overtaken; research from the University of Cambridge shows that artificial intelligence can reconstruct the facial structures of people in disguise. Google has explicitly turned its back on matching faces to identities, for fear of its misuse by undemocratic regimes. Other tech firms seem less picky. Amazon and Microsoft are both using their cloud services to offer face recognition; it is central to Facebook’s plans. Governments will not want to forgo its benefits. Change is coming. Face up to it.